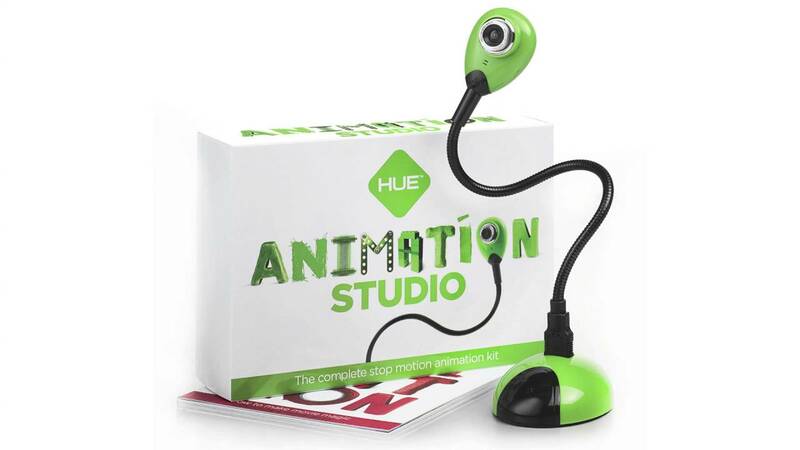 Description: HUE Animation Studio is an award-winning complete stop motion animation kit, including the HUE HD camera, software and 60-page book. Animation projects can be uploaded directly to Creatubbles and YouTube and shared with families and friends. SWON's kit also includes LEGO compatible blocks for building anything you can think of and a laptop to record, edit, and store/send your videos.